Borderland Co-op already has one major project under construction, with a new $5.6 million C-Store and Gas Bar under construction at the intersection of Highways 1 and 9 at Whitewood, and has a second major project in the planning stages with a 25,500 square foot Home Centre planned for Moosomin, to replace the current home centre. Now the Co-op plans to proceed with a new convenience store at Rocanville, at the site of the newly opened cardlock on Highway 8. Borderland GM Jason Schenn says he expects the new store to be open before the end of this year. The 1,200-foot C-store will employ eight to 10 people, including a manager. Schenn said the Co-op intends to have the facility open seven days a week, as long as enough staff can be found. With the new facility on the highway, the Co-op gas pumps downtown will be taken out, and the home centre will be expanded. Schenn said the Rocanville C-Store was in the Co-op’s long-term plan, but has been moved up the agenda. Because the C-store was in the long-term plan, the cardlock site was developed with the C-store in mind, which makes construction much simpler as some of the components are in place. “The cardlock being done is a huge amount of the hurdles out of the way,” said Schenn. “Power, telephone, all the things we need to deal with in terms of the permits and structures are already in place. “The only thing we need is a building permit and we can get going. I’ve got a general contractor lined up for it. The current Borderland gas bar and home centre in Rocanville will become entirely a home centre. Meanwhile, a massive new 25,500-square-foot home centre in Moosomin is in the planning stages. 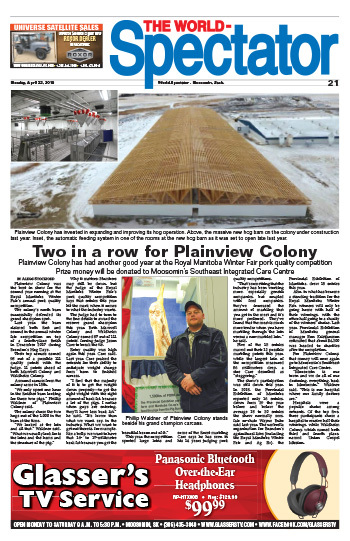 A new home centre was part of the Co-op’s long-term plans, but when North American Lumber’s Moosomin location burned to the ground, the Co-op took the opportunity to purchase the land and adjust its plans. The original long-term plan was to build the new home centre on Co-op-owned land at the east end of Moosomin, near the C-store and gas bar. With the North American land available, the Co-op looked into the cost of developing at the current site, which would save the cost of preparing the land and installing infrastructure at the East Access Road site. The plan is to assemble a parcel of land including the current Co-op home centre property and the former North American Lumber property, and the street that ran between the two. Moosomin town council has agreed to the closure and sale of the street. “Everything for the home centre is making its way through the channels,” Schenn said. The Moosomin home centre announcement has led to some questions about the future of the Rocanville and Whitewood home centres. Schenn says the Co-op plans to keep all three home centres, and better co-ordinate inventory among the three sites. 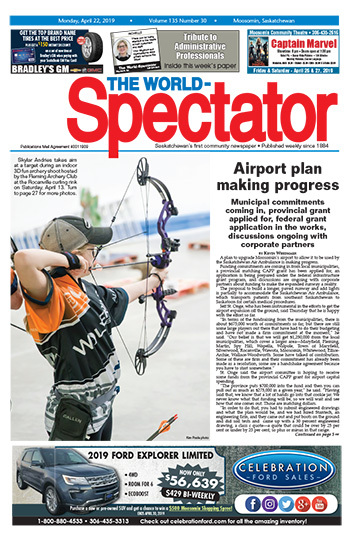 “The board and management have been working on a plan for several years to utilize all three home centre locations to bring added strength and selection to our entire home centre business, which absolutely includes our Rocanville and Whitewood locations. “Our belief is that while we cannot build immense structures to match urban centres with markets in excess of 200,000 people, we will collectively have buildings and yard space that rival these urban stores once we build our new home centre. Obviously each location will require a core selection of items that are needed every day in every location. Beyond those things we will be structuring our inventory management quite differently across all of our store, yard, and warehouse space to bring as much variety as possible to the Borderland Co-op trading area. “In terms of our organization, we used to be split up by community, with Rocanville, Maryfield, Whitewood and Moosomin. “Now we’re re-arranging things and splitting everything by business units, so we’ve got our home centre division, we’ve got our food division and we’ve got our petroleum division, and I’ve got leadership in place for each of those divisions, so the people in charge of home centres, that’s all they’re worrying about, is home centres. They’re focusing on how they can make that the best they can be, and the same in each of the other streams. Construction is ongoing on Borderland’s new C-store and gas bar at Whitewood. Schenn said he expects that project to be complete toward the end of 2015. The project is located at the junction of Highways 1 and 9, and will be similar to the C-store and gas bar in Moosomin. The project is being built at a cost of $5.6 million. Schenn says there have been some questions about Co-op equity payments in light of all the construction projects.